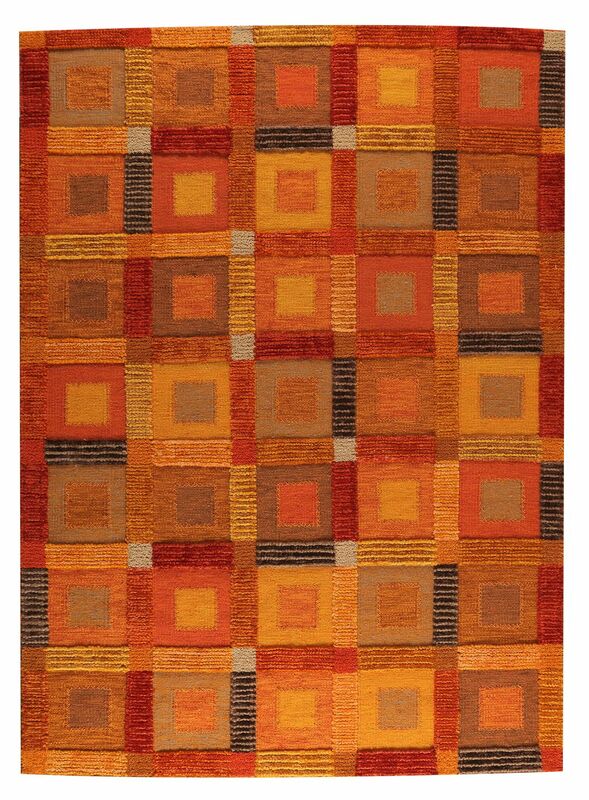 MAT The Basics Big Box Area Rug - Orange - Swatches may be available. Hand Woven. Contemporary. 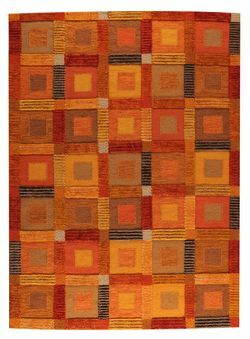 The Big Box design is perfect for an eclectic space, as there is an artful feel to it that makes it a more unique rug choice. 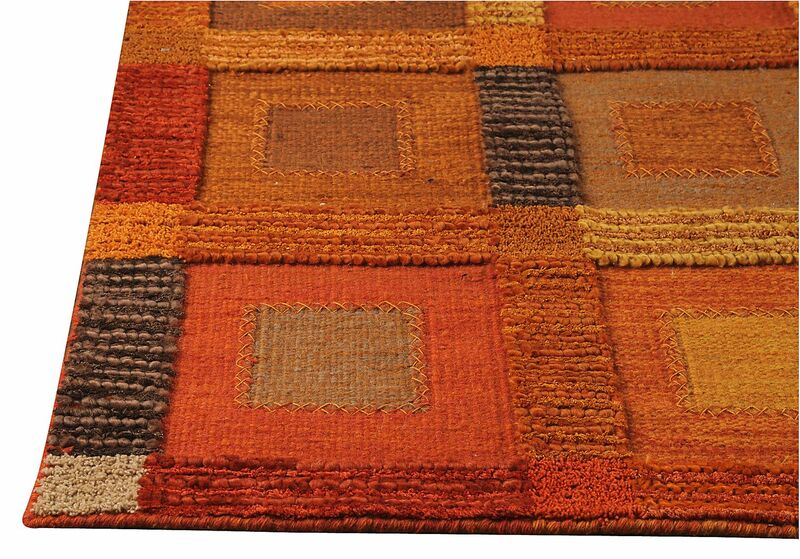 With several color options to choose from, this rugs versatile nature could also serve you well in the common room or a child's play room. Gorgeously hand-woven by craftsman rug makers in India, this viscose and wool carpeting is also available in chic accent pillows. Geometric design. 80% wool, 20% Cotton. Pure New Zealand wool and viscose flat weave. Pile height is .5 inches. Made in India. MAT The Basics Big Box Area Rug - Orange 5'6"x7'10"
MAT The Basics Big Box Area Rug - Orange 6'6"x9'9"
MAT The Basics Big Box Area Rug - Orange 8'3"x11'6"